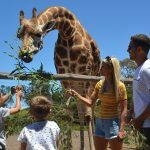 Whether you are living in Melbourne or visiting Melbourne and looking for kids activities, your kids will love a day out at one of the three exciting zoo’s in Melbourne. 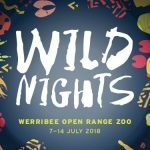 You can visit Werribee Open Range Safari Zoo in the South West, Melbourne City Zoo near the city centre, or Healesville Sanctuary in the East. All three Melbourne zoo’s offer a different and exciting experience the whole family. I travelled around Africa a few years back and had a truly amazing experience. My kids see all of my photos and ask when they can go too. 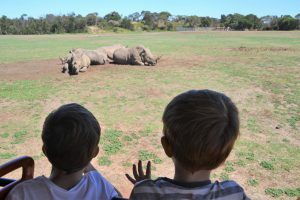 While we plan to take them to Africa one day, for now I give them the next best thing, a zoo safari at the Werribee zoo! 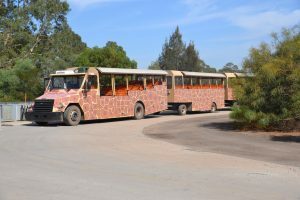 Only 30 minutes from the centre of Melbourne is the Werribee Open Range Safari Zoo situated on 225 hectares of savannah along the Werribee river. Its prime location next to the Werribee Park makes it perfect for a day out with the family. Walking the Pula Reserve Trail you will pass lions, monkeys, cheetahs, gorillas and more, and in Summer time kids will love the hippo splash which is one of the Werribee Zoo’s most popular attractions. On the 40 minute safari tour, families can see a wide range of animals getting close up to the animals in the open savannah where Zebras, Giraffes, Rhinos and antelopes roam freely. 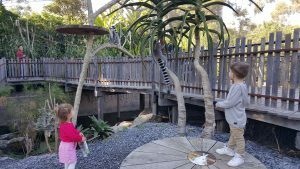 Of course, no Australian zoo experience would be complete without seeing some Australian native animals such as koalas, kangaroos, and emus. There are also behind the scenes zoo encounters including feeding the giraffes, and gorillas behind the scenes. Kids under 16 are free every weekend, Victorian school holidays, and Victorian public holidays. 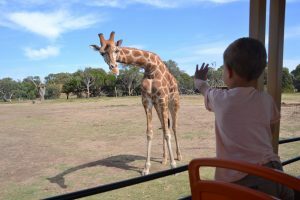 The Werribee Open Range Zoo is included with your zoo membership. See details at the end of the post. Located near the centre of the city, the Melbourne Zoo has over 300 difference species of animals from around the world. You can see traditional zoo animals such as elephants, monkeys, tigers and lions but one of our favourites is the meerkat enclosures where you can get right up close with these amazing mammals. Walking around the Melbourne Zoo is like strolling through a rainforest. Renowned for it’s natural beauty, the Melbourne zoo offers a variety of habitats to discover. Watch the penguins and seals them above or underwater, or visit the butterfly house for a truly magical experience. There are opportunities to watch the keepers feed the animals and learn about the wildlife in the zoo, and a variety of zoo encounters are available where you can really get up close to some of the most beautiful animals. One thing I love at the Melbourne Zoo is their activity center for kids where they can dress up as zoo keepers, and vets and practice treating the animals. The Melbourne Zoo is included with your zoo membership. See details at the end of the post. 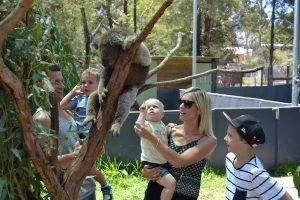 If you are looking to see a variety of native Australian animals then Healesville Sanctuary in the breathtaking Yarra Valley is the perfect place. About an hour and half east of Melbourne, you are met with koalas, kangaroos, dingos, wombats, and emus and many woodland birds in a sanctuary that covers 30 hectares. 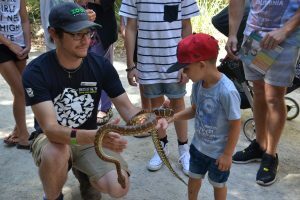 Healesville Sanctuary is also home to the Australian Wildlife centre who talk to guests about what they do to save Australian wildlife. 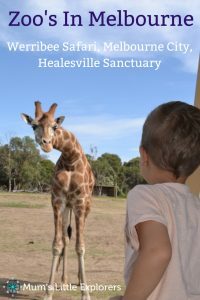 Healesville sanctuary offer special experiences where you can get up close to the iconic Australian animals to have the true Australian zoo experience. 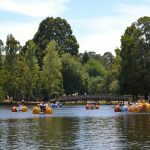 A great day trip out of Melbourne, Healesville can also be incorporated into a trip around the Dandenong Ranges and Yarra Valley. Healesville sanctuary is included with your zoo membership. See details at the end of the post. If you live in or around Melbourne, then a Zoo membership is well worthwhile. A year’s membership gives you entry into all three Melbourne Zoo’s as many times as you wish. 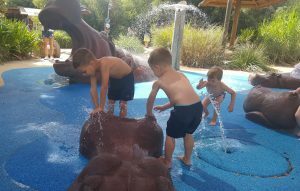 So on those days where the kids are bored, and you have nothing planned, a quick trip to the zoo will cost you nothing extra, and the kids will love you for it! 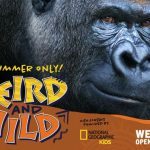 Zoo’s Membership can be used 365 days per year and includes all three Melbourne Zoos – Werribee Open Range Safari Zoo, Melbourne Zoo, and Healesville Sanctuary. 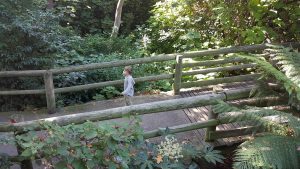 How much does a zoo membership cost? 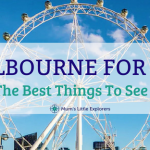 Which Melbourne Zoo to Visit? Tough question! 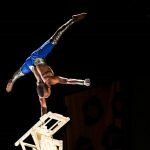 All three Melbourne Zoo’s have something unique to offer and if you can visit all three, you will have three amazingly different days out with your family. For more activities for kids and family days out in Melbourne check out our Facebook page or Instagram.